until the coming days, when Maisie starts having night terrors that make Clara question what really happened on that fateful afternoon. Tormented by grief and her obsession that Nick's death was far more than just an accident, Clara is plunged into a desperate hunt for the truth. Who would have wanted Nick dead? And, more important, why? Clara will stop at nothing to find outand the truth is only the beginning of this twisted tale of secrets and deceit. 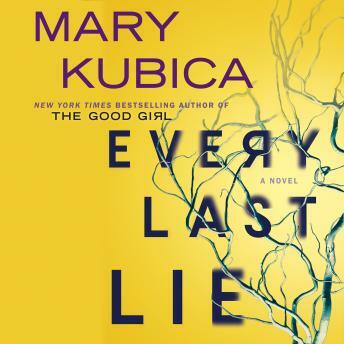 Told in the alternating perspectives of Clara's investigation and Nick's last months leading up to the crash, master of suspense Mary Kubica weaves her most chilling thriller to dateone that explores the dark recesses of a mind plagued by grief and shows that some secrets might be better left buried. I found the ending to be rather anti-climatic. Story had potential but too much senseless rambling when she was assuming this or that happened. The whole "Izzy" thing that lasted forever was stupid, especially beating her with a bat while her kids cooked in the car... the only thing that saved it for me was the narrator.